The Heaven and Earth Palette was the first palette I ever bought from MUA and I loved it for months on end. Slowly though I started to use it less and less to the point where I'd hardly touch it. Recently though after putting it in my shopping my stash post I've been enjoying using it more. 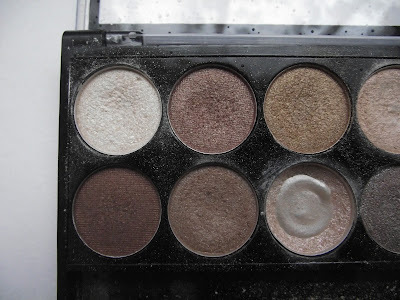 This was MUA's most popular palette until the undressed palette came along, a palette that I've also 'rediscovered' recently but I've been using this one more. This palette is compiled of mainly browns but with a gold or two thrown in and some highlights. You can see which one is my favourite shade, the third one along on the bottom row. I've nearly finished it and I just love it for a simple all over the eye shade or for a base. I love teaming it with just eyeliner and mascara. 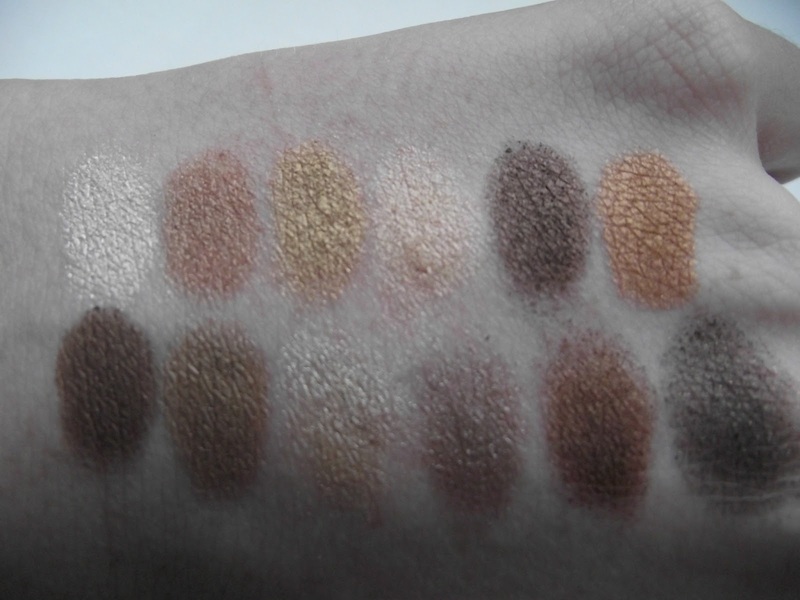 The shades are pigmented for a palette that only costs £4 and last nearly all day with a primer. 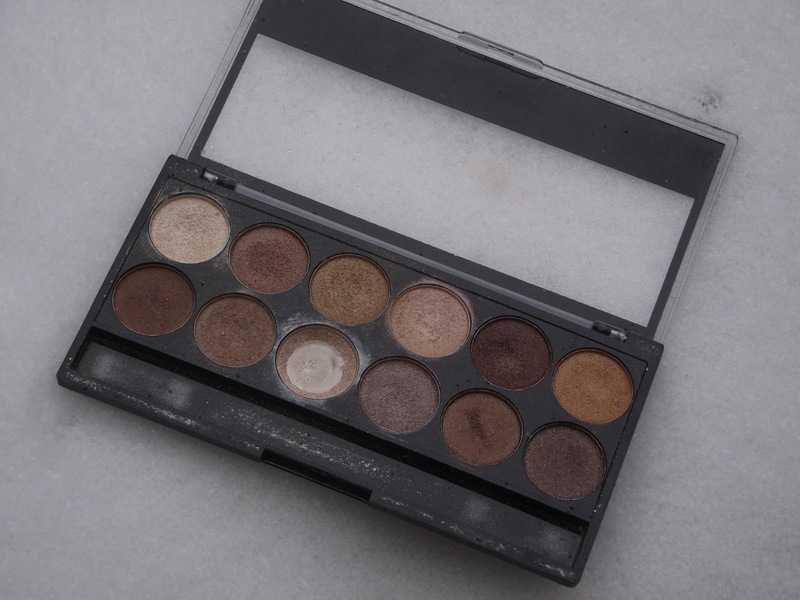 It has all the neutrals you could need and this would be great for a beginner with makeup. I'd really recommend this for a great neutral palette, it may not offer as much pigmentation as Urban Decay but I still reach for it happily. I love all the warm tones in this palette. I love this palette! And funny enough I've used up the same colour as you have! Such a lovely palette but I wish they sold the colours separately because the one I love the most I've used up but can't really justify buying the palette again for 1 colour until I've used the rest up! i was just wondering if you knew the difference between the - undressed, undress me too and the heaven & earth palette? they're all so similar! I love this palette too and I hardly touch it now! I do love this though so will get it soon and start re-using it! I love that bottom colour that you've used up too! It's so pretty! 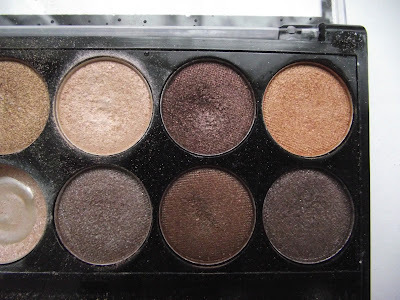 This palette has some gorgeous shades, I have too many neutrals palettes though! lovely palette with a lot of neutrals in it! good for everyday use!! thanks for the review!! !